"It just became about trying to turn as many people on to these bands as I could, and that philosophy extended into the label. Still today, it's more or less what we’re trying to do." 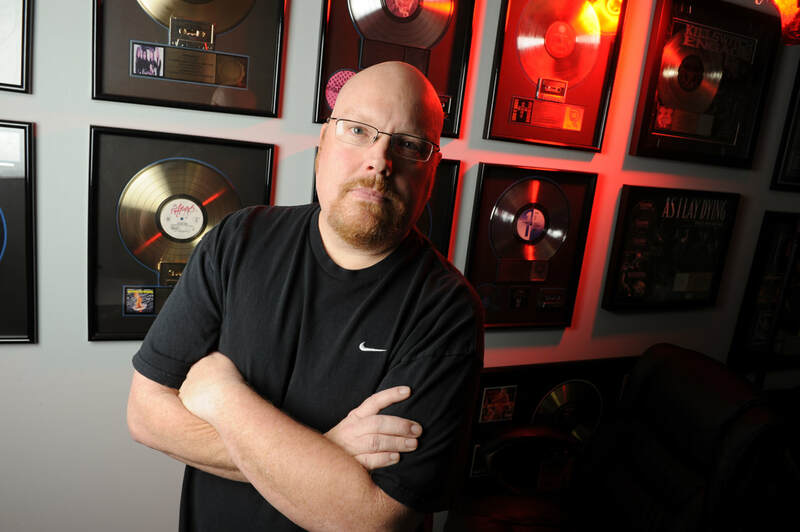 Brian Slagel has played a pivotal role in bringing some of the biggest names in metal to the masses. 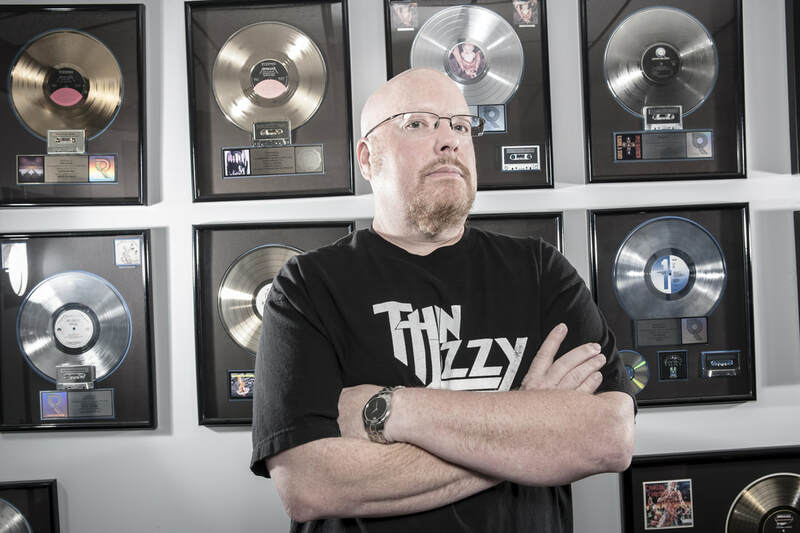 Forming the Metal Blade label in 1982, the music mogul was the first to put out music by both Slayer and Metallica, and was instrumental in the careers of the likes of Ratt and Armored Saint. 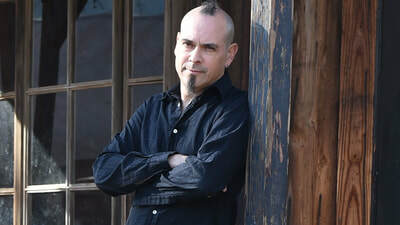 Celebrating 35 years of the home of extreme music, the Los Angeles native has just released a book sharing his story. We sat down with Brain for a chat about ‘For The Sake Of Heaviness’, and find out what it took to create one of the most important labels in music. Under the blade; Eamon O’Neill. ​Hi Brian, how are you today? I’m good, thank you. I’m in Las Vegas, and I’m going to see Slayer and Behemoth tomorrow night. You’ve just released ‘For The Sake Of Heaviness’; how did the book come about? Well, people have been bugging me to do that for a long time, and I just haven’t done it: “Ah, you do that when you’re old, right? !” But now that we’re getting a little older, and also figuring out what to do for the 35th anniversary of the label, it seems like the right time to do something. I figured it might be a good idea to tell some of the stories before I start forgetting a lot of them. You were influenced by the N.W.O.B.H.M. in particular; was it a case of just being in the right place at the right time? Yeah, totally. Being in L.A. around that early 80s time was pretty special. So many amazing bands came out of that scene; whether it was Mötley Crüe or Ratt, Metallica or Slayer, it was a pretty amazing time, and that was coming off the heels of, yeah, the amazing scene that was happening in the UK with the New Wave of British Heavy Metal. Reading through the opening chapters of the book, and it seems like you were almost destined to run your own record label. I was just a huge fan of the whole thing, and I couldn’t play an instrument or be in a band, so I was just trying to do anything I could on the other end of things. But it’s pretty insane how everything started so small back then, to how big it all became and we’re still talking about this thirty-five years later. What bands meant the most you as you were growing up? Deep Purple was the first thing I heard – ‘Machine Head’ – and I graduated to Black Sabbath pretty quickly after that, but it really was KISS, when I was about 14. I was a massive KISS fan, and I just loved the whole theatrical portion of it, and the music; the whole thing. I was also lucky enough at the same time to have this radio station in L.A. that was playing Judas Priest and UFO, so I heard ‘Sad Wings Of Destiny’, and ‘Force It’, early Scorpions’ stuff, like, all these amazing bands that I never would have known about if it wasn’t for this radio station. So I got really heavily into a lot of that stuff. That interest led to you producing your first fanzine ‘The New Heavy Metal Revue’. Being so into what was happening in England, people did fanzines over there, and I thought; “Let’s start a fanzine”, with my friend John Kornarens. I thought it’ll mean we’ll get access to something, and at least write about it over in America, because I don’t think anybody knew what was happening in Europe outside of a couple of us. Basically in L.A., John and I, and Lars Ulrich were the only three who knew about those bands at first, so we just decided to put it together. That was a lot of fun, and it ended up doing okay for the time it existed. ​You then began importing European records. My dream was to always work in a record store because I’d hang around them anyway, so I ended up working in a record store, and the first thing I did was ask the owner; “Can you give me a small little budget to bring in some of the stuff that’s happening in England?” I knew about five people that would buy everything, and he was like; “All right, you can try it”. So, I remember calling up the importers at the time and saying; “Hey, have you guys heard of a band called Iron Maiden?” and they go; “Who? !”, and I said; “Just find what you can from this band, and let me know, and I’ll buy all of it”. So, we started bringing stuff in, and it started taking off. It was crazy. Did you feel like you were spearheading something important? Not really, I was just a huge fan of it. It was honestly a bit selfish at the time, because I knew if I could bring it in, that I would get a copy of it as well. Then it just became about trying to turn as many people on to these bands as I could, and that philosophy kind of extended into the label and still today, is more or less what we’re trying to do; find cool new bands and turn people onto them. Obviously, it’s a whole different way of doing that now than it was back then, but the philosophy is still pretty much the same. Moving on from that, and you put together your own compilation; the infamous ‘Metal Massacre’ release? There was a lot of bands playing around L.A. that nobody knew about, and again, it was the whole N.W.O.B.H.M do it yourself attitude. There were albums like ‘Metal For Muthas’ that came out there, and I thought I could do one here, and at least get people to see all this cool stuff that was going on in L.A. So, I just cranked up as much money as I could, I borrowed some money from my aunt, and a friend of mine, and I was able to make 2,500 copies of a record and actually get the bands on it and put it out, and that’s what started the whole thing. It was famously, the first album ever to feature Metallica; did you have any idea that they would go in to be so successful? Never in a million years. If you had have told any of us back then that everybody would go on to these long successful careers, we never would have believed it. I’m still good friends with all those guys, and I actually just talked to Lars yesterday, but it’s pretty amazing how that whole thing came about. Lars did the forward to the book, which was incredibly nice, and he said a lot of nice things in there. But look, I was just in the right place at the right time, and whatever little role I played in those guys getting started, it’s awesome. ​One of the defining albums that did come out on Metal Blade was ‘Show No Mercy’; what was it like working with a young Slayer? It was incredible. I was in the studio producing that record. I was not producing by trade, but I wore every hat possible back then. Being in the studio with those guys was a very different feeling than a lot of other bands, because you could just feel something really special happening here. Those guys would just come up with these riffs and the music, and it was really pretty incredible what they were doing. That was the first record that I remember doing, because, when you’re in the studio, you’re in there eight hours a day for a long period of time, and hearing these things over and over again, and by the end of it you’re like; “I don’t want to hear this stuff anymore, I’m pretty much sick of it”. But it was different with Slayer? It was the opposite with ‘Show No Mercy’. I didn’t want to stop listening to it, it was so good. It was pretty magical. The funniest part of making that record though, was it was a really tiny little studio, and they wanted to play live as much as they could, to put the energy into it. So we were trying to record the drums, and because Dave [Lombardo] had a really big drum set, the cymbals were just bleeding over every single mic, and it just would have made a big mess, so the engineer told Dave he’d have to play without cymbals, and overdub the cymbals after, which is not something you ever do. He agreed to do it, and still to this day, I see the image of him standing in the room, waiting to hit the cymbals; it’s really funny, and so not normal! Dave Lombardo has said that ‘Show No Mercy’ is his least favourite Slayer record, for exactly that reason. Oh, absolutely. It was tough for him, and I felt really bad for him. But at that point, there was no other way to really do it, in the early medieval days of recording, and with the very small budget. And that’s a great performance on that record, but I know he was not happy about any of that stuff, so I always apologise to him. It wasn’t my fault, but I still feel bad! 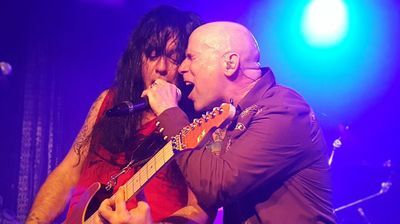 Armored Saint was another band you worked with from the early days. They were great. They looked like a European-style heavy metal band. The first moment I met them, they were just really great guys, and we bonded really quickly, and we’ve been really close friends ever since then. They were one of the early bands we signed and did an EP with [1983’s self-titled release], and they were the first band to ever leave Metal Blade to sign onto a major label. They were really great about talking about Metal Blade, and that really helped us to get some traction, and some support early on. The ‘Symbol Of Salvation’  record is always going to be a very, very special record for me, because they had pretty much broken up, and Dave Prichard the guitar player had passed away, and just being able to make that record happen when it probably never would have happened, is truly amazing. They band have had a superb second act in recent years. Seeing the renaissance, where the last couple of records they put out did extremely well, they’re doing a lot of touring and having fun again, and playing on a high level; it’s been a really great ride. They’re really family for a lot of reasons. I actually spent Thanksgiving with them in Dallas, Texas this past year. Were there any bands that slipped through the Metal Blade net that you wish you’d gotten the chance to work with? There’s a few; obviously, we’d loved to have put out the first Metallica record, but I had no money, and they had no money, so there was just no way that was going to happen. But one that really I messed up on were Guns ‘N’ Roses. They were playing around L.A. in the 80s, and I knew their manager and all these people kept saying; “You’ve got to go see this band, they’re really great”, and I was like; “They’re like a glam band, and I’m not really into the glam scene”, so I never went to see them. I didn’t even listen to the EP that they put out independently [1986’s ‘Live ?! *@ Like A Suicide’], and then I got the advance cassette for ‘Appetite For Destruction’. I put it in, and I was like; “Oh my god, this band is incredible!” So, yeah, oops on that one! That’s a big one to pass on; were there any others? We also got offered Pantera’s ‘Cowboys From Hell’ when it was first recorded, but they wanted quite a bit of money at the time to do it. I think we could have made it happen if we wanted to, but it was just going to be a really difficult process to do it, so, that one is probably another one that we should have done. Were the 1990s a tough decade for Metal Blade? You know, we talk a lot about that these days, and not only about it in the book, but there’s a lot of nineties’ nostalgia going on. It was a really interesting decade for us, because it wasn’t nearly as bad as everybody thought it was. I loved the grunge stuff a lot, and we actually ended up doing a lot of marketing and promotion, working with Alice In Chains, Faith No More, Soundgarden, and a bunch of those bands. So that really helped us get through that period of time. All of those bands, by the way, were all huge metal heads; everybody in those bands were big metal fans, but they couldn’t say it at the time because metal wasn’t cool back then, which I get; it needed to go underground and reinvent itself. So it wasn’t a bad decade for Metal Blade at all, despite the connotations with the name? People talk about how that was the dark days of metal - which it was - and clearly our style of metal wasn’t in the mainstream, but we had Cannibal Corpse, Six Feet Under, Gwar, King Diamond and Merciful Fate, all putting out really good records and selling an awful lot of copies. On the other side of things, we had huge success with the Goo Goo Dolls, which was a nice thing to happen as well. The nineties were okay, and I tell people, go back and listen to those nineties’ metal records, because there’s a lot of really good music there that nobody talks about. I call it ‘the lost decade of metal’. Back to the present day, and what’s happening currently with Metal Blade? It’s a really good time, and it’s an interesting time in the business. You have all these different things happening with the way people consume their music, but we’ve found that streaming has actually been really good for us so far. You kind of have the best of all worlds; vinyl’s still doing well, CDs’ still doing well, and the streaming is way better than we ever thought it was going to be. We’ve got a new Cannibal Corpse record coming out, a Black Dahlia Murder record coming out, a Gwar record coming out, we have finally the King Diamond double DVD / CD coming out early next year, and then a bunch of really cool new artists, like Igorrr. So we’re continuing to do what we’ve done all along; just putting out some good quality metal stuff. And of course, there’s more book promotion. Yeah, definitely. There’s two things I forgot when doing a book; I have to go out and do a lot of interviews to support it, and also the fact that it’s going to get reviewed. That was kind of; if people don’t like it, it might be kind of tough! But I’m really happy with the way the book came out, and I’m so excited for everybody to read it. 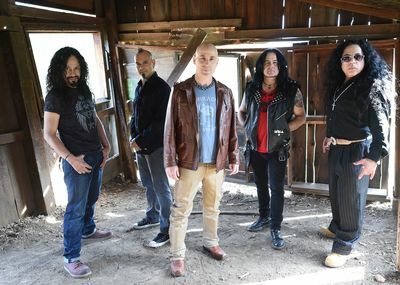 INTERVIEW: John Bush Chats Armored Saint & Bushthrax. Belfast On The March As Armored Saint Seize The Night. EXCLUSIVE: Joey Vera On Fates Warning, Armored Saint, & Anthrax.